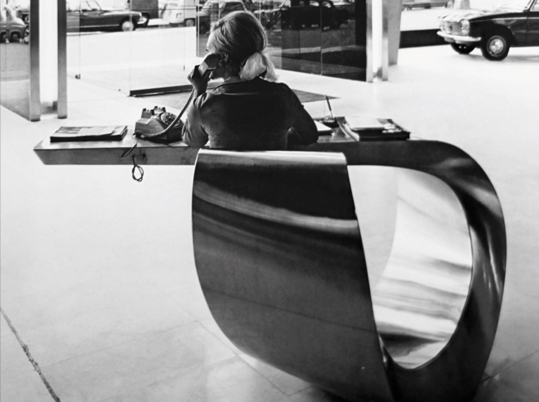 Ben Swildens Desk for Peugeot Paris 1966. 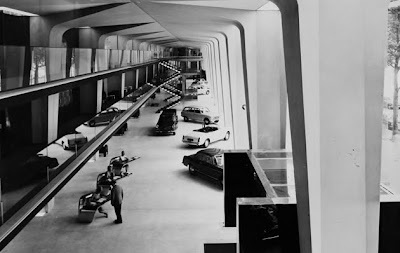 Peugeot showroom in Paris circa 1966. Here is another reason I wish I had a time machine. 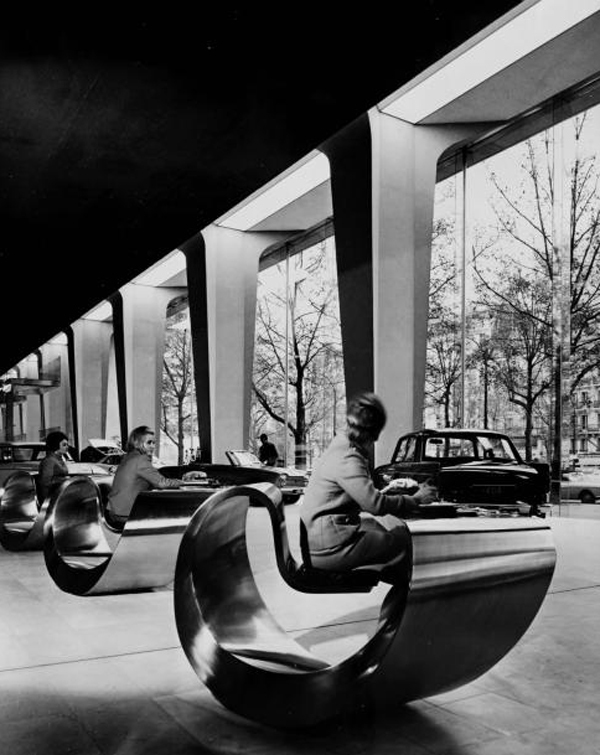 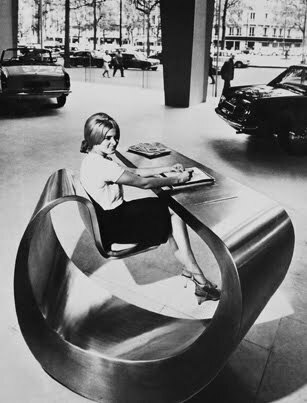 This ultra modern futuristic office desk was designed by French designer Ben Swildens for the showroom of the French car maker Peugeot Paris in 1966. 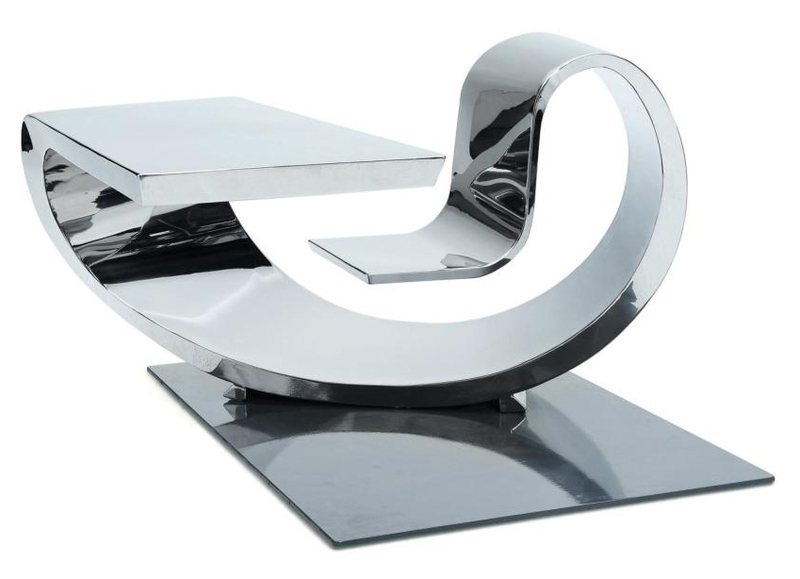 The main free-flowing structure of this desk is made from a single piece of mirror polished stainless steel, this must be the most beautiful desk ever created.